Thank you to everyone who came to our event and supported the Justice for Children Advocacy Center. We had a wonderful evening! 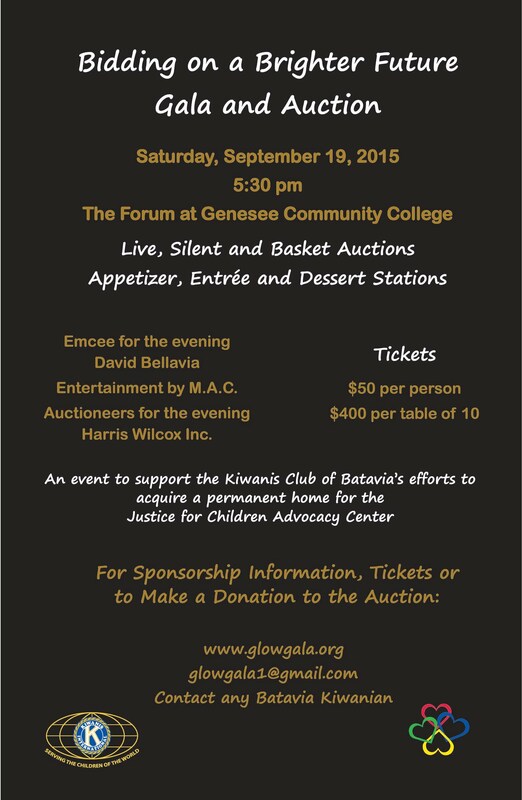 To purchase tickets, contact any Batavia Kiwanian or send us an email at glowgala1@gmail.com. To make a donation, click here: Make a Donation. Please visit our Facebook page, Bidding on a Brighter Future Gala and Auction.